Toronto, ON (May 21, 2010): Dance truly can, and does- make a difference. A thank you letter to Byfield Dance Experience, for funds donated to the Canadian Red Cross after hosting “Hip Hop For Haiti” fundraising event at our dance school in Toronto. “Hip Hop For Haiti” was a fun, sweaty night of hip hop dance classes in Toronto. The event that brought in $1270 was planned and executed in less than a week by the dance studio staff and leadership of BDX Event Manager Jessica Doutsas. 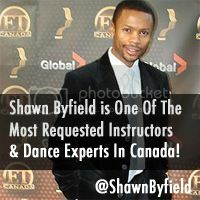 Local instructors Kareem Byfield, Jeff Wong and Shawn Byfield donated their time to the cause by delivering inspiring hip hop dance lessons. Thank you again to all participants and everyone who donated to this disaster. 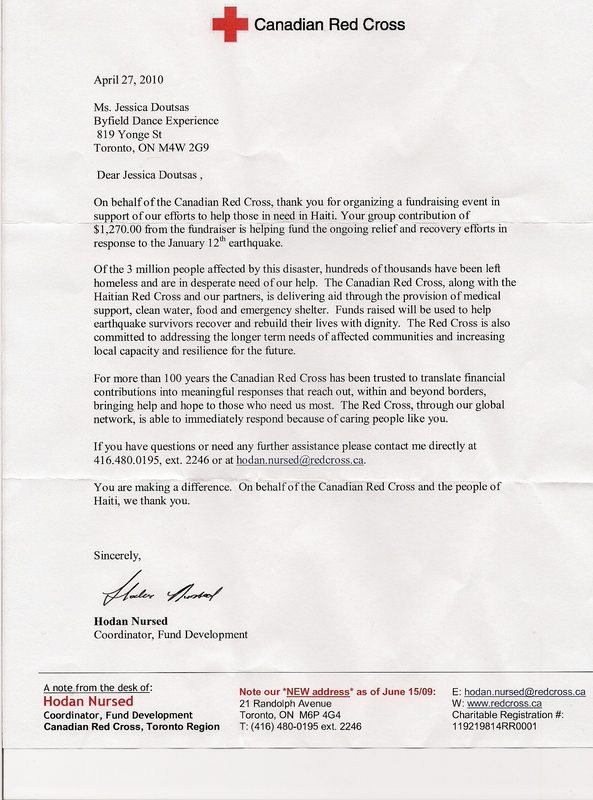 Although relief efforts are ongoing, we applaud the Canadian Red Cross for their remarkable humanitarian efforts in domestic and global crisis. What’s good, check my remix right here!!!!! !